Client communication is of utmost importance to our firm. We take pride in endeavoring to return all phone calls within 24 hours and maintaining open and continued communication with our clients. 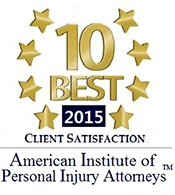 We pride ourselves in our commitment to meeting and exceeding the ethical standards for lawyers. We look forward to assisting you with your legal matter, contact us today to set up an initial consultation.